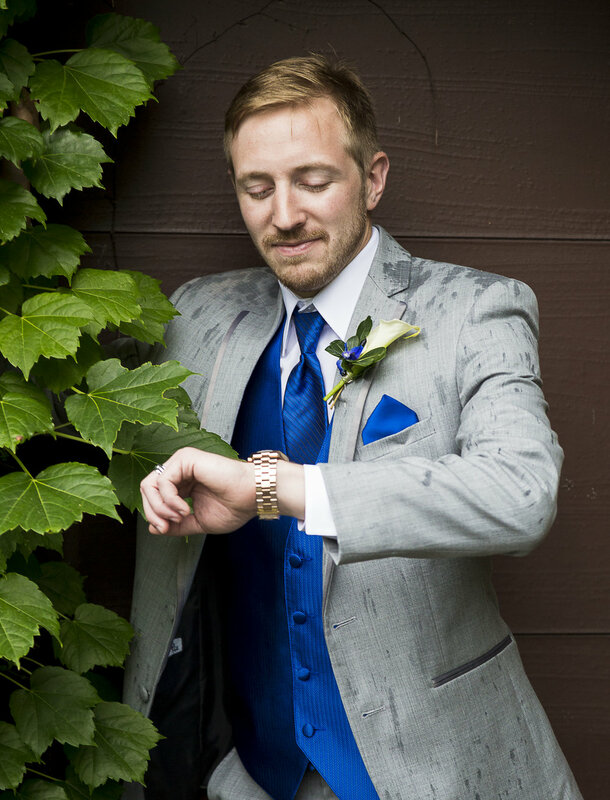 Is it raining on your wedding day? Don't say "Go Away" (pouty face), instead, say "HORRAY!" 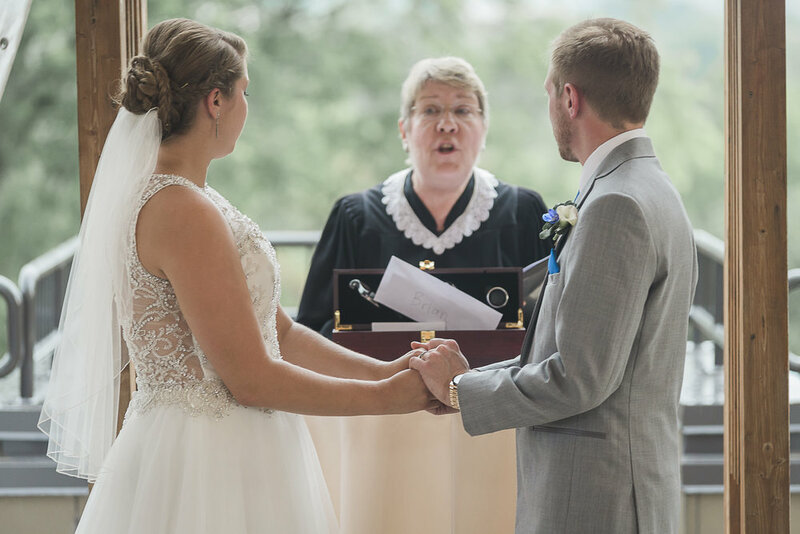 As a Wedding Photographer for Brian & Jill Barczak's big day, I believe they're marriage has very good luck. Thunder ROARED and lightening CRASHED it's sparkly lights of love. The air was ELECTRIC! Rain poured down all day with no stopping in sight. As gray as the sky hung and as wet as the ground was on the outside, the picture was quite the opposite inside the big white tent located on the outdoor terrace which overlooked the greens of the Silver Spring Golf Course, in Menomonee Falls, Wisconsin. Inside the covered terrace, the white tent provided protection from the elements, yes, but it also gave the ceremony an intimate, light and airy ambiance. The white tent provided focus directly on Brian and Jill and was the perfect backdrop to watch two people get married. 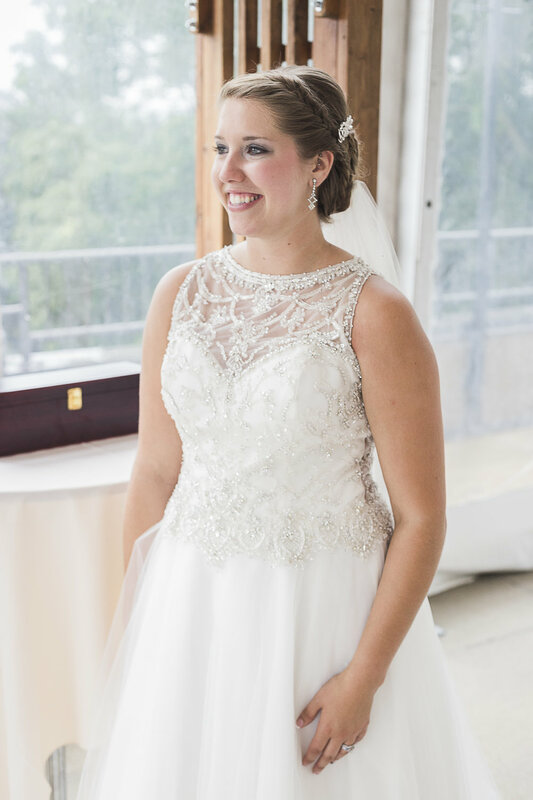 In addition, the white tent provided wonderful diffused light for the Bride & Groom's Bridal & Family Formal Portraits. Brian & Jill's wedding images and final portraits were dreamy and soft. In Hindu belief, you want rain on your wedding day because it's a sign your marriage will last. Like in boating terms, when you tie a knot on a rope and it becomes wet, it's very difficult to untie it. Well, just like that knot on the rope, it's considered very good luck to have rain on your wedding day. Your marriage will be hard to unravel and will last a long time. 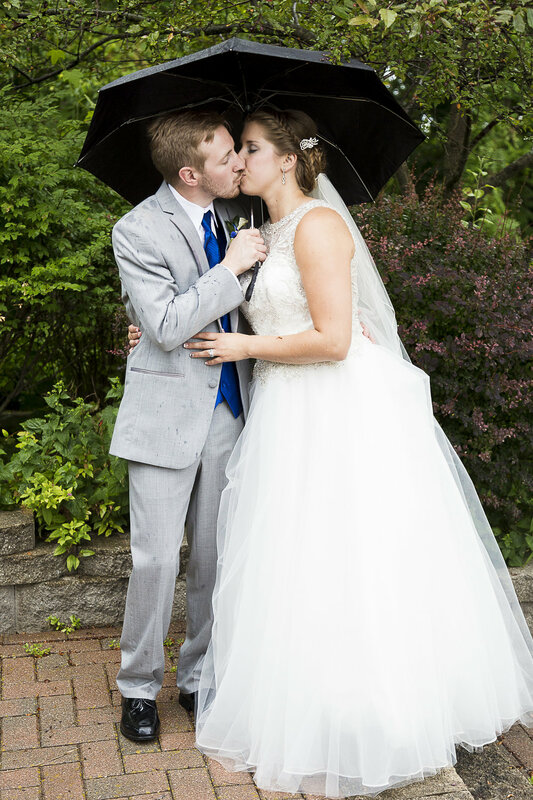 So on this day, Brian & Jill's wedding day, the couple revelled in the rain by taking portraits by the historic silo on the property and sharing romantic kisses umbrella. You see, it's all right if it rains on your wedding day and it's all how you choose to view your day. If you view rain on your wedding as being lucky, then your marriage will last test of time and will not likely unravel through all the challenges life has to offer. So smile and say, "Bring it on, rain!" Because, yes, it is wet, but you get to share hugs, kisses and lots of cuddling under an umbrella. That sounds like a great start to a lifetime together. Rain or shine, I wish you good luck on your wedding day and I hope you live in your moment. Keep shining your light ad Happy Wedding Wednesday!